This is by far the most popular Service option and most people choose Clean & Protect. 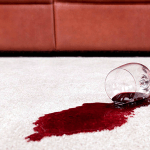 You have children or pets you’ll undoubtedly have spills and stains to deal with. You have heavy traffic areas, as it’s not just stain resistance our protectors provide. They also help resist dry soils, this means more dust and grit are removed when you vacuum. Your valuable carpets will stay cleaner even longer AND respond better to cleaning the next time they’re cleaned. Most of our clients usually have us apply protectors to ground floor areas of the home where traffic is heavier and spills more likely. You’ll get the same thoroughly deep clean service on your carpets so you enjoy cleaner, brighter and soft feeling carpets again. We’ll apply our exclusive protector, or WoolSafe Approved Wool Protector, to give your carpets extra protection from dry soiling and accidental spillages. 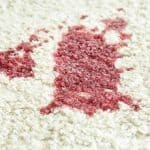 This means your valuable carpet will vacuum easier, so will stay cleaner longer and last longer too, PLUS you’ll have improved stain resistance. Cover with dust sheets any areas we’re not cleaning that we’ll need to walk over. We’ll also use cover shoes whilst in your home. Move light/medium furniture with care, you don’t have to empty the room. Thoroughly vacuum & pre-treat spills, spots & stains where necessary. Apply the appropriate safe pre-sprays to traffic lane areas and brush in. Deep extraction clean using our exclusive Texatherm combination clean process to scrub deep into the fibre without risking shrinkage. APPLY our Protection Treatment, including using a WoolSafe approved product on Wool carpets. Buff the carpet to remove soil that extraction alone can’t, this also speeds up the drying even more. Re-vacuum to remove ‘fluff’ and groom the carpet to stand the pile up correctly, again helping speed drying and the overall appearance. Finishing Touches, such as wiping down the skirting boards & doorbars. Inspect the carpet with you to ensure you’re 100% delighted with the result. Leave you with a questionnaire and a FREEPOST envelope to send it back in. We love to know what you think about our service and cleaning. Please be candid with your comments and all our work is covered by our No Quibble money back guarantee. If you’re not genuinely satisfied with something we do PLEASE TELL US. We will put it right or refund your money, No Quibble! The Perfect Care Maintenance Plan, and split the cost too.